Revision® Seminar at Hotel ZaZa! 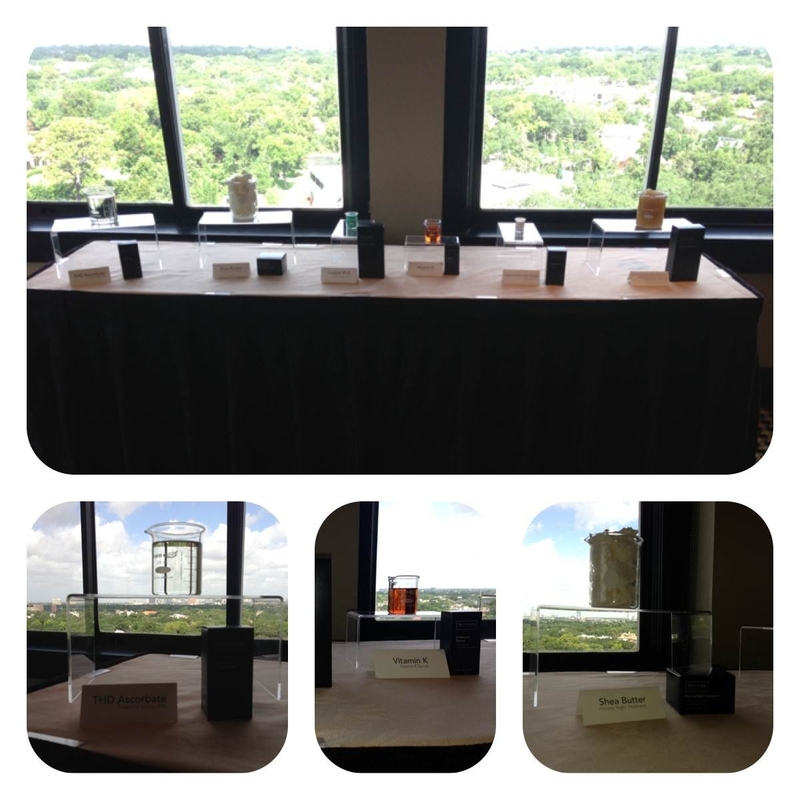 Yesterday, Revision® Skincare held their summer Skincare convention and seminar at Hotel ZaZa, right here in Houston! We always strive to keep up with the latest technologies and innovations in the cosmetic industry for our patients, and are very passionate about constant and continuous education. We learned all about the science and histology behind the brand and we are so excited to share it with y’all! We started the morning off with a lecture from Tatiana Kononov, the Director of Research and Development. She gave us an in-depth view behind the science of Revision® Skincare and what sets them apart from other medical-grade skincare lines. 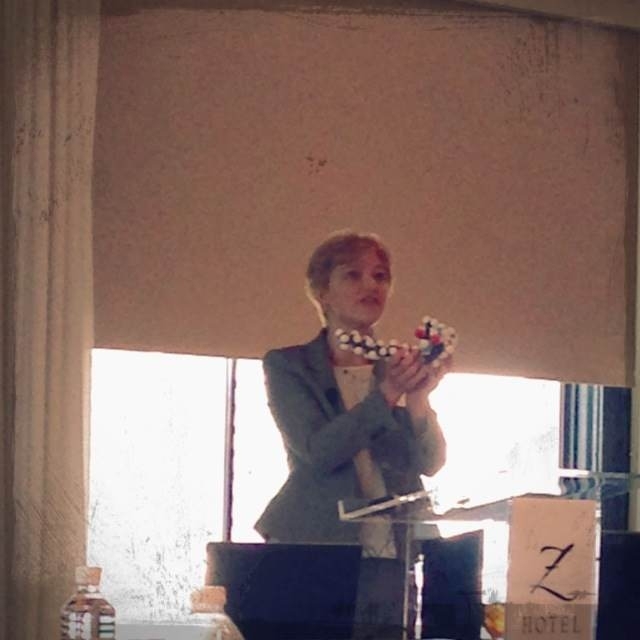 Tatiana Kononov showing us a model of a peptide molecule featured in several of Revision® Skincare products! We went into detail on the exclusive peptide blends that Revision® has in their products, including Palmitoyl Pentapeptide-4, which stimulates the synthesis of Collagen I, III, IV, and fibronectin; PP-4 is featured in Teamine® Eye Complex. Tatiana also approached Acetyl Hexapeptide-8, the key ingredient in Revox® II. AH-8 is known to reduce the formulation on expression-line type wrinkles (crow’s feet, laugh lines, forehead lines, and glabella), by inhibiting acetylcholine from the nerve ending to the muscle… very similar to Botox®! The other peptide that really stuck out for us was Tetradecyl Aminobutyroylvalylaminobutyric Urea Trifluoroacetate – 20 bucks to anyone that can say that 5 times fast – or T.A.U.T for short. This tripeptide provides skin firming benefits, for an enhanced appearance, by increasing hyaluronic acid synthesis for a filling affect. It is in several of Revision’s products, including both Intellishade® formulations, making Intellishade® perfect for protection and correction! An up close view of the raw materials used in Revision® Skincare. After lunch we went over the science behind vitamin C, sunscreen formulations, new products, and new skin care regimens we will be offering to our patients. Stay tuned for another post on all of the new Revision® Skincare products we will begin to carry! Overall, the entire day was extremely informative and we had a wonderful time! Thank you to Revision® for putting the seminar together, and allowing us to share the information learned with our patients; we are all looking forward to the next one. We had so much fun, thank you Revision®! Are you a fan of our Revision® Skincare line? Comment below and let us know your favorite product to receive 10% off your next Revision® purchase! 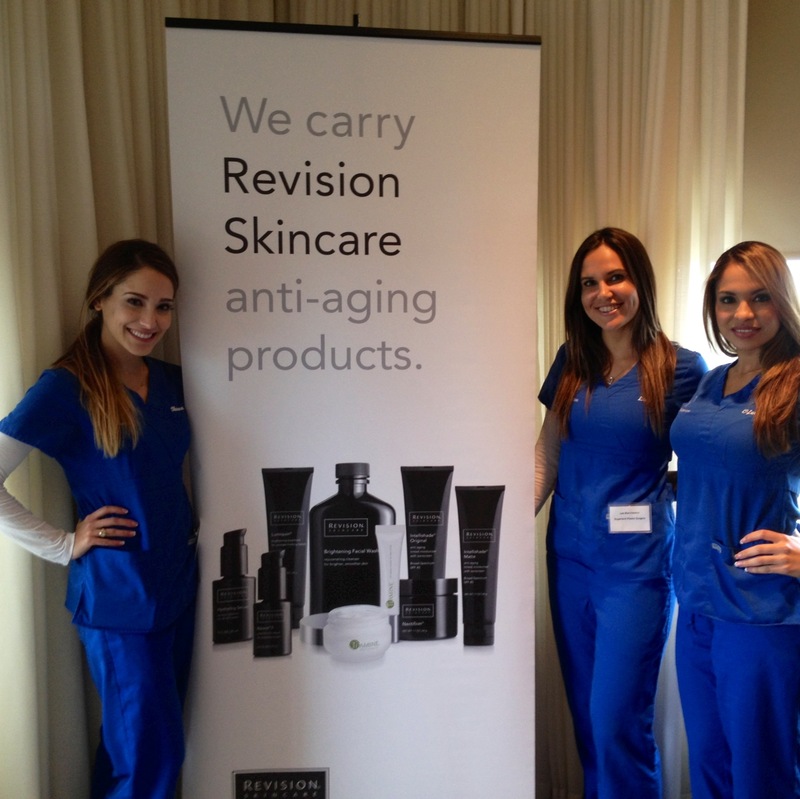 Want more information on the Revision® Skincare products we currently carry? Click the links below to learn more! I absolutely love the Purifying Gel Cleanser from Revision! The Sal acid is great for my excessive oily skin in the mornings to leave it feeling ultra fresh and clean & at night, it does a great job removing all of my stubborn makeup! I’ve also purchased this product for my younger brother in his teens, it’s a great cleanser for his age to help prevent his acne!